Moriarty (Image Comics) sold out the first issue, an extraordinary feat! 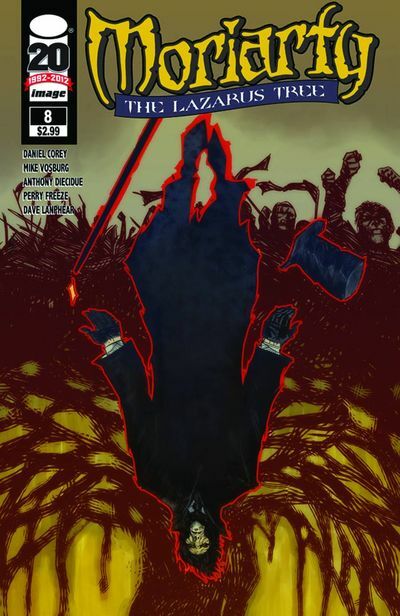 Taken from the journals and adventures of Sherlock’s antagonist, Moriarty #8 finds the Professor investigating the murder of his student and ally in Burma. … Why not make the first science fiction monster a secret agent and pit him against O.M.A.C. (One Machine Army Corp) in a freak battle royale? The New 52 gives us Frankenstein, Agent of Shade #5! 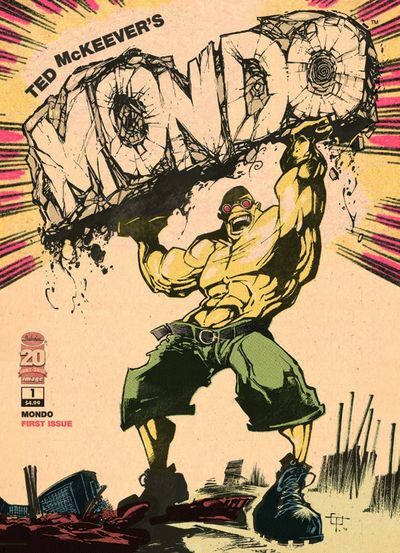 … Ted McKeever chose a black & white, Golden Age format for his latest, Mondo #1. You won’t like Mondo when he’s chicken! BTW, You should totally swing by Hub Comics on Saturday. They’re rebooting the store.